Curators Yvonne Farrell and Shelley McNamara of the 16th Venice Architecture Biennale have announced more details about the 2018 show, themed Freespace. This year, 71 studios and 65 countries, seven of which are participating for the first time, including the Vatican, will show their work in two separate exhibitions, from May 26 through November 25, 2018. As such, Freespace entrants will be given leeway to present works that can range from open civic spaces to material studies, as long as they laud the natural world and “nature’s free gifts.” Freespace is accepting proposals, examples, and pieces of projects, both built and unbuilt, that evoke a hidden beauty through the use of materiality, form, complexity, or place. 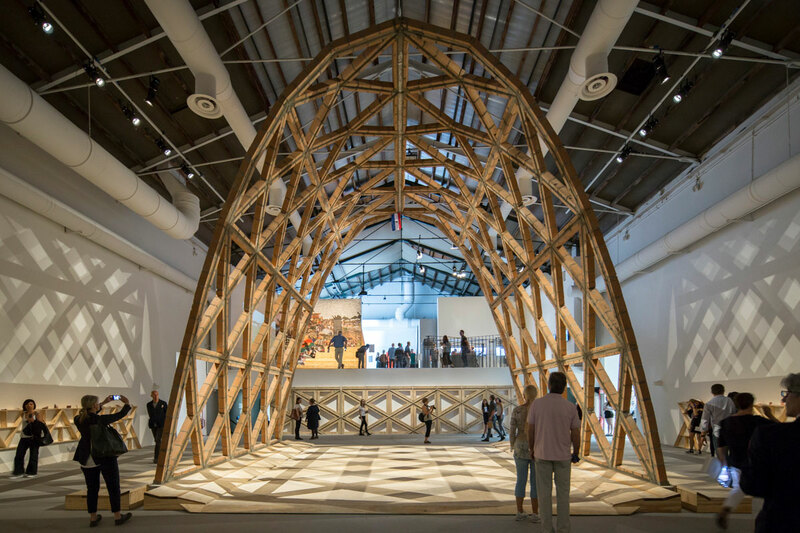 This year’s biennale will also see pavilions from the aforementioned 65 countries go up in the Giardini, the Arsenale, and the Venice city center. It also marks the first time that Antigua & Barbuda, Saudi Arabia, Guatemala, Lebanon, Mongolia, Pakistan, and the Holy See will be exhibiting pavilions. The national participants have chosen to tackle the theme in a variety of ways. While some countries have opted to highlight environmental justice, others will prompt discussions on a “lack of free space” or seek to explore the term. A full list of the 65 national entrants and their pavilion’s theme can be found here. The United States will front a hefty and diverse group of seven design teams for this year’s show to realize Dimensions of Citizenship.